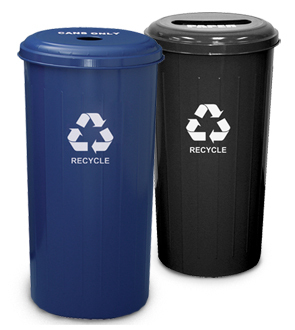 Tall 20 gallon recycling receptacle is great for companies seeking "green" compliance. Font-facing recycle logo makes it easy to quickly identify recycling container and ensure proper waste segregation. Lift off top makes servicing easy. Available with a round can collector opening or slot opening for paper. Powder-Coated dark blue or black.